We can make seismic acquisition designs according to our customer’s needs, because we have experienced specialists and software to do it. We are able to give support on the generation and consultancy of the geometric parameters of the acquisition, or even make feasibility tests and modeling, including ray tracing studies, which are described further going forward. 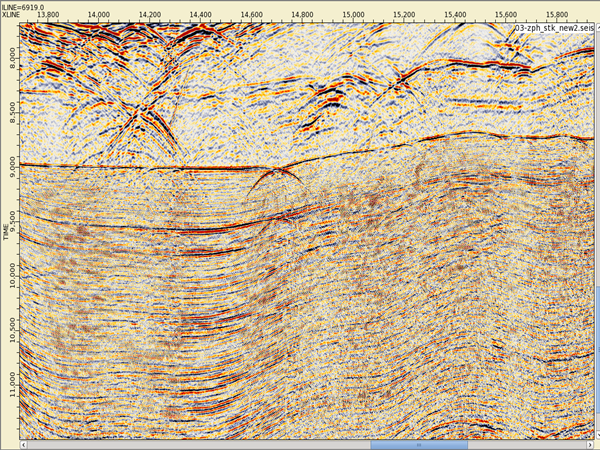 “Sparse” acquisition designs combined with CRS technology are one of the specialties of Geoprocesados, and allow important savings in the seismic acquisition, without sacrificing the data quality. In those areas where complex geological structures need to be defined (steeply dipping, fault systems, sub-saline structures, etc.) it is possible, using a lighting study, to make a thorough test of the most appropriate acquisition geometry that is needed to decrease the uncertainty in the region. The lighting study generates a set of attributes directly related to the acquisition and local geology, then, results can be compared, and this enables conclusions to be drawn about which geometry is the best. 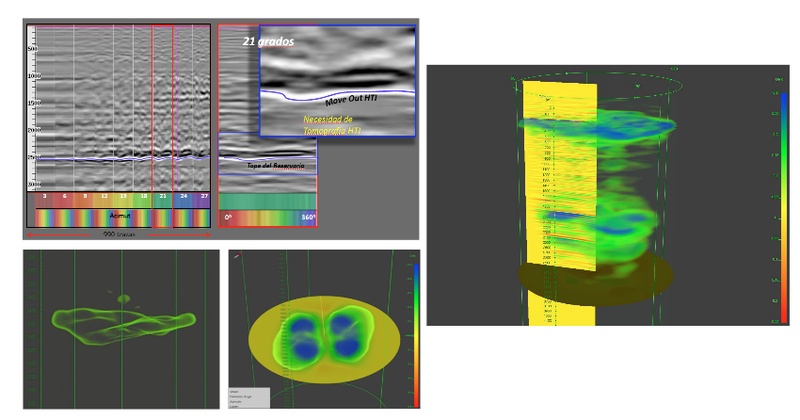 Lighting studies are important, and one of their principal applications is to determine the effectiveness of the seismic rays to record the reflections. There are other important applications, such as being used during the acquisition to define recovery sources or reception areas; in depth migration it can help to explain areas with image problems according to proposed velocity range models and ranging the opening migration, also by defining which areas will be illuminated and which areas won’t. 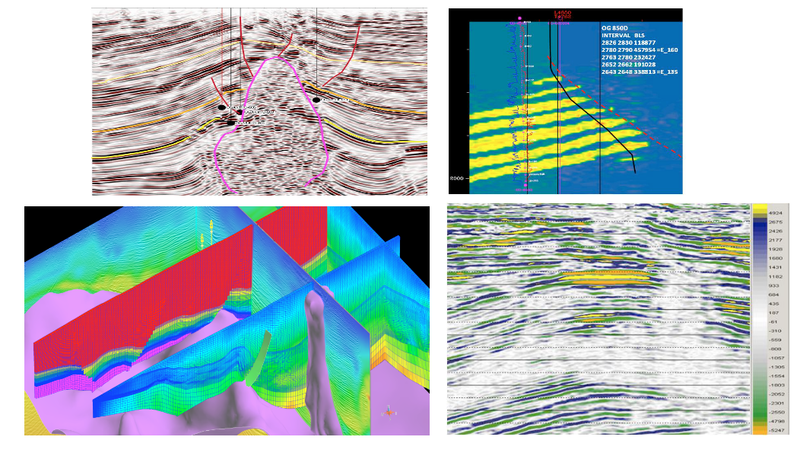 3D lighting studies reduce the risk of the seismic exploration, because they contribute qualitative measures that can help with the survey designs. Depending on the illumination of the objective, the designs can be accepted, improved or rejected. Structural modeling and velocity models to make sure that the ray tracing will observe the geology of the area. Geoprocesados has an experienced and specialized quality control staff for seismic operations. 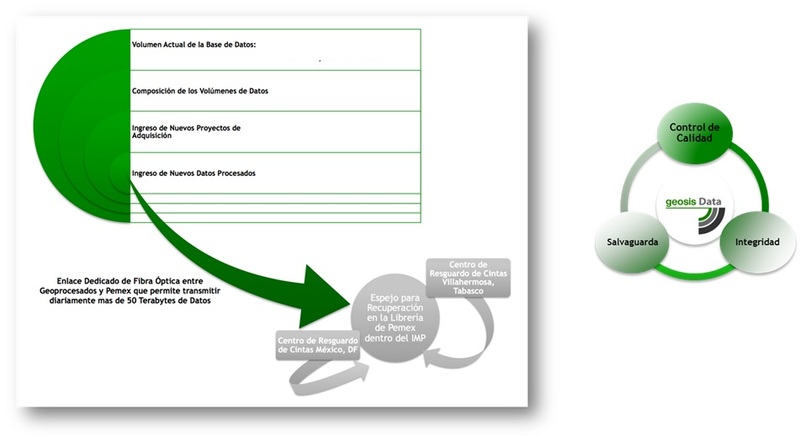 However, unlike most of others companies that offer their services based upon the experience or abilities of their specialists, Geoprocesados offers an integrated system with procedures and reports (CCTP) that gives our customers the confidence that all the operations are being supervised with international standards. Geoprocesados is the representative in Mexico of the company Polarcus for solutions regarding Towed Streamer Marine Seismic Acquisition. Geoprocesados offers all the necessary tools to get the best results in seismic signal processing, offering services for over 15 years. Specialists in complex structure seismic imaging results, large thick sediment packages, deep folded and fractured carbonates, saline structures. Stacking velocity model, RMS, time interval. Post and pre stacking migration in time with proximity by straight and curve rays. The common reflection surface (CRS) increases the resolution in the time domain and depth. This gives us as results, images in time that are better than the conventional NMO/DMO processing. The increase of the signal/noise relation often permits a significant refinement of the geological interpretation. As a consequence, the CRS technique has been incorporated as a standard tool in the sequence of time and depth processing. Shot regularization (CRS shots) for RTM migration. 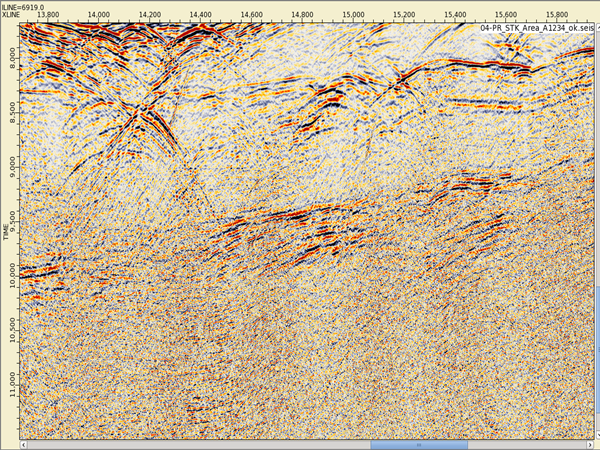 • Time calculation for the waves that spread from surface sources to image subsurface points. 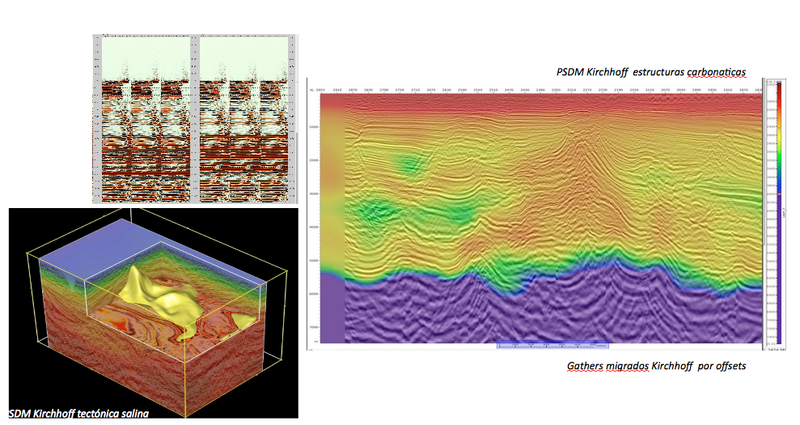 • Seismic data integration into a predefined range (migration opening) using the calculated travelling times. Isotropic and anisotropic algorithm vti, tti. Cartesian format. Travelling time calculation for fast execution. Travelling time calculation by the reconstruction of optimum wave front for strong velocity contrasts. The image is the result of the integration of every subsurface point, contributions of the pair of rays (incoming and outcoming) in all angles of the direction and reflection systems. Migrated gathers contain reflection angle and azimuth ongoing information. There’s no need to take decisions from surface calculated azimuth. No speculation is needed about an ideal number of areas in which data must be divided before migration. There’s no need to multiply the analysis effort of velocity by the number of azimuth areas selected. It allows to make avaz studies. The RTM algorithm (Reverse Time Migration) makes a modeling/migration inverse 2D/3D (shot gathers). Each shot is modeled/migrated in an independent way. RTM creates a sub volume of the final volume of the image from every one of the migrated shots. The results are the migrated shots are ordered in common image gathers and then are placed in a stacking order to obtain the final depth volume. RTM can be run on CPU o GPU. It accepts both, but CPUs and GPUs cannot be combined in the same output. Geoprocesados has both. It gives the final image. Can migrate isotropic, anisotropic vti and anisotropic tti models. It generates synthetic shots in the “modeling”, shot and receipt locations are obtained from the incoming traces and at every exit of the incoming traces they are replaced with the modeling result. 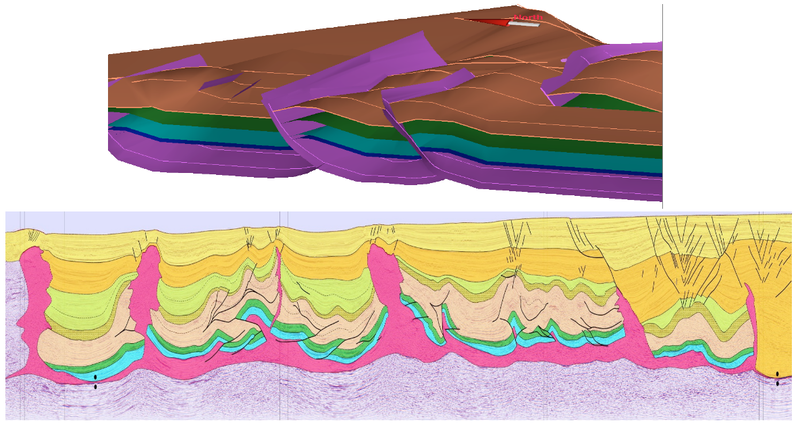 The structural modeling includes defining the 3D reservoir structure, the calculation of the real size, volume and structure complexity of the reservoir. All stratigraphic horizons, faults and irregular shapes such as salt or clay zones are included in the modeling and also represent different structure conditions such as shortenings, erosions, intrusions, etc. 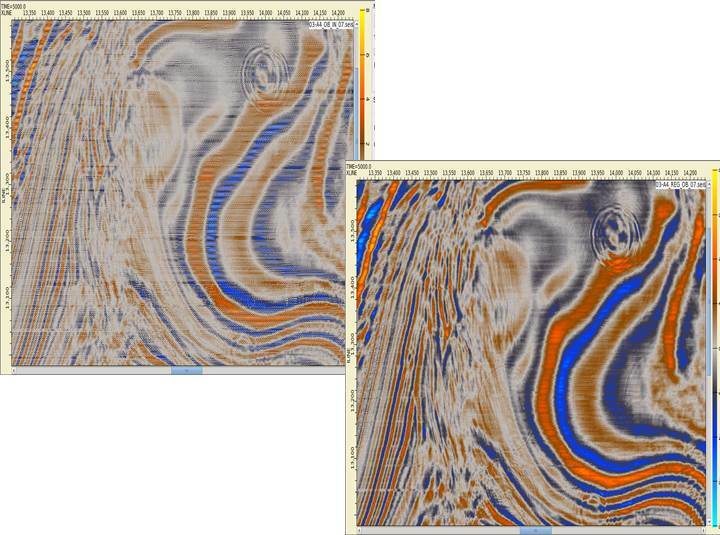 The main objective of the petrophysical modeling is to create a map of isoproperties that will be useful to make a global analysis. Evaluated properties in this modeling are: porosity, permeability, clay volume, irreducible water saturation, and movable water saturation. To evaluate these properties, there are many petrophysic parameters that have to be studied, such as a,m,n constants. The objective is to determine lateral and vertical relations between geological units crossed by different wells. An important information obtained from a good meshing of stratigraphy sections, are the vertical relations between units, to predict the fluid mobility, this model defines the internal reservoir architecture. In order to achieve it, the intra-reservoir reflectors are correlated from the lens that composes them, supported by well-to-well lithology correlations and sequential stratigraphy analysis. It is a mathematic model generated from the analysis of relevant data; the objective is to represent the space correlation and variation of the different analyzed properties, on a certain geological environment. This model represents data variations regarding to the distance of the source of information; normally these methods are used to interpolate the properties with geostatistics methods such as Krigging. Pore pressure is described as the pressure that a fluid exerts into the porous spaces of the rocks upon the formation fluids and the pressure exerted by the burdens borne. It is necessary to know the behavior of these pressures to prevent anomalous behaviors that may affect the borehole stability and compromise its operation. 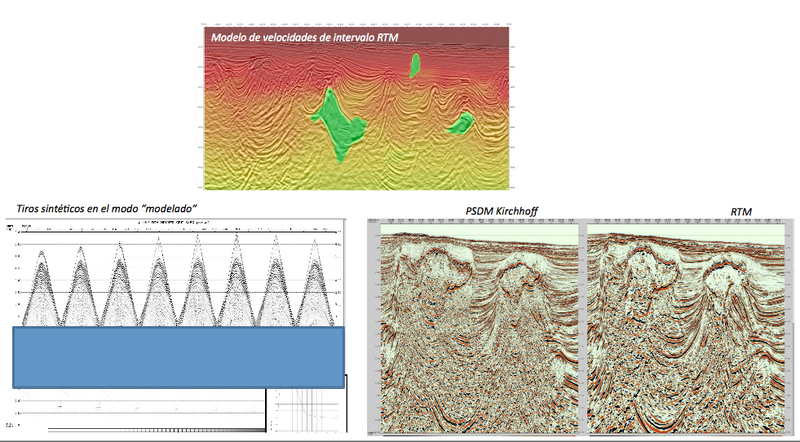 Geoprocesados, in exclusive partnership in Mexico with TERRASYS, provides integral solutions for oil exploration, engineering and the environmental industry, focused on the potential methods of geophysics (gravimetry and magnometry). Within interpretation and multidisciplinary teamworks, Geoprocesados combines high 3D modeling resolution and routines of gravimetric and magnometric inversion with the results of seismic processing, well log, EM or MT data; particularly in the areas that involve complex salt geometry such as the Gulf of Mexico, the seismic image is affected by the complexity of the geometry and this even restricts the success of the pre stacking depth migration in addition to the poor quality data, incorrect structure concepts, non solved geometry or inexact velocities. 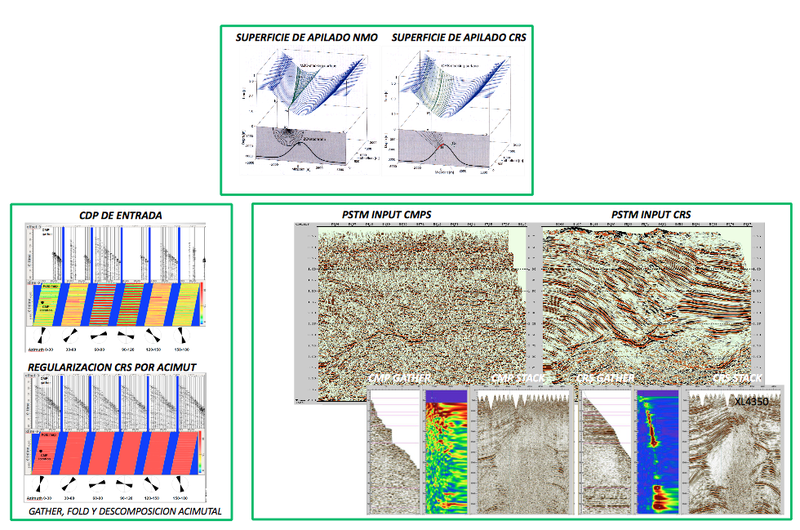 In order to face these problems, we focus in the integration of acquired data with independent geophysics technologies, linked to the same lithology model, at the same time responding to different geophysics properties of the rock such as density, susceptibility or resistivity. 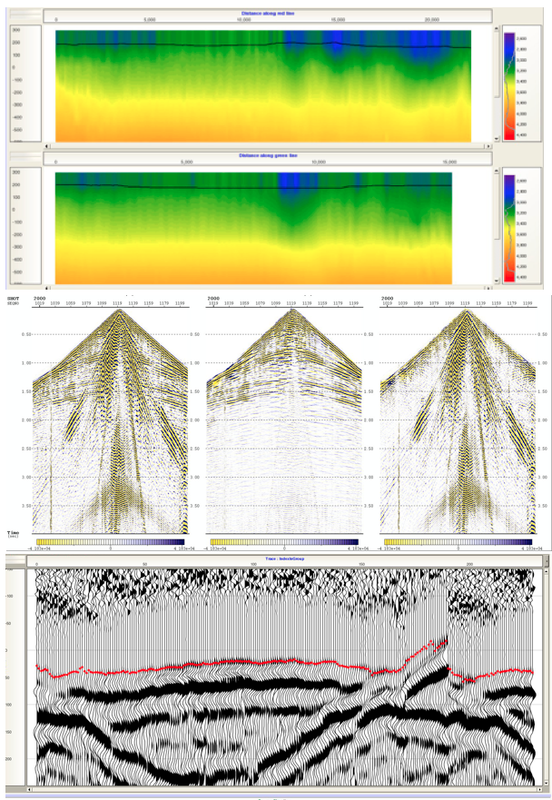 TERRASYS develops flexible use, high technology geophysical software, focused to the exact needs of our customers, as the GEOMASTRER, which is a powerful 3D interpretation platform, specialized in the inversion and modeling of potential field data. R&D Projects – from gravimetry gradients to rock physical properties. 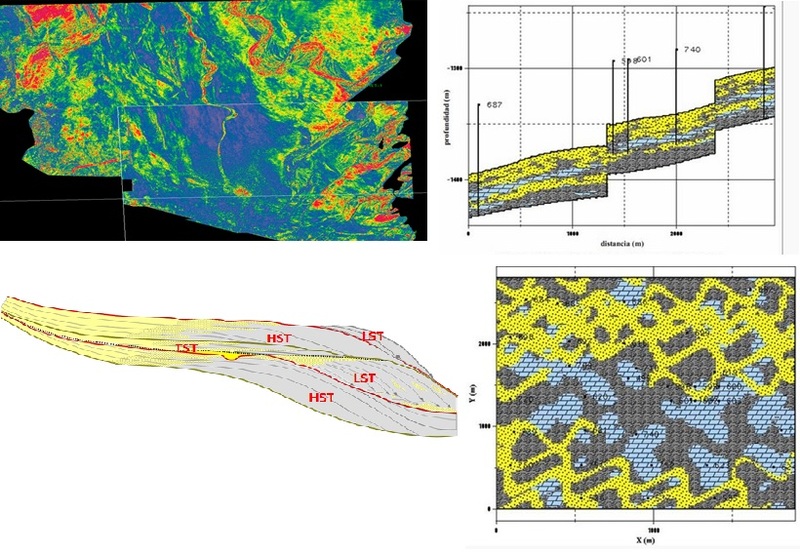 TERRASYS is involved in different investigation projects and the development of advanced concepts in geophysical interpretation, always searching to meet the needs of the industry. Actually R&D covers from integral inversion themes to the contribution of teamworks in geothermal projects. 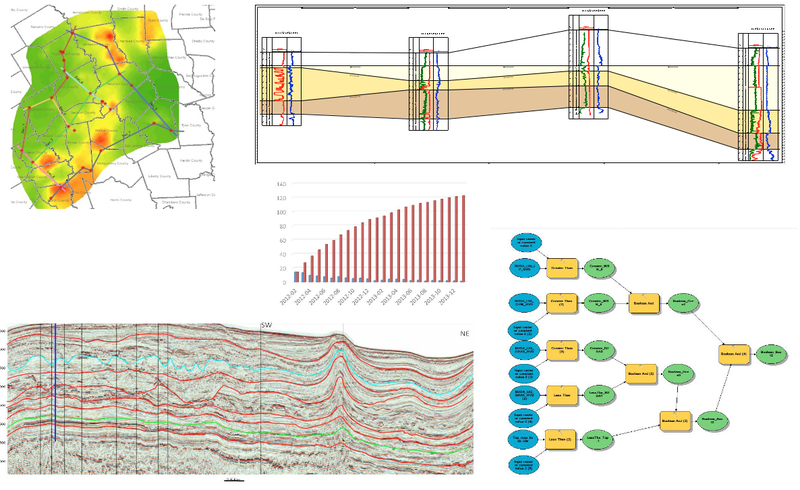 Geoprocesados and TERRASYS provide a wide range of non-seismic services, such as project design, data acquisition supervision, processing, interpretation and integration of multidisciplinary data. We also offer consultancy and quality control services and geophysical training focused on potential methods. TERRASYS uses geophysics solutions in engineering and environmental works as surface wire or pipe mapping, UXO detection, areas of construction, archaeology and forensic requests. Safe access and storage of all the information through appropriate technological infrastructure and processing. 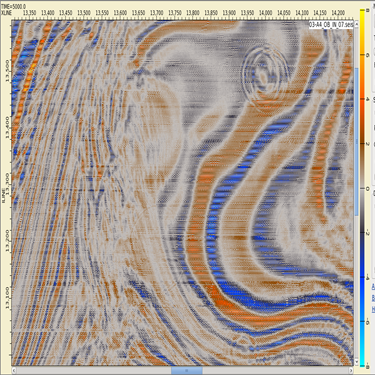 GeosisData™ software allows the use, validation and storage of seismic information in record time. 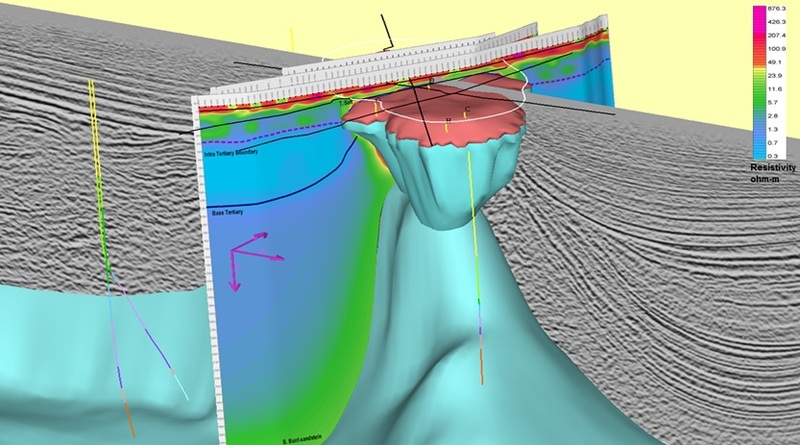 Geoprocesados offers various methodologies in the exploration of mature fields, which allow us to detect non-drained areas and even non-discovered or non-developed opportunities. This methodology has been used successfully in many mature fields located in southeast Mexico, making an important increase of proven reserves possible. When a complex geological area is found (saline tectonics landslide, etc.) and the seismic information presents limitations that can not be solved with the processing, it is necessary to reduce the uncertainty, using many methodologies that let us know if the proposed structural model is feasible; this can be done using balance, retrodeformation and “foreward modelling” technologies that make possible to obtain a realistic and acceptable geological model.